Neo-Geo is dead. Long live Neo-Geo! Remember Neo-Geo? The expensive alternative to the original Nintendo Entertainment System, with the controller that doubled as a helicopter landing pad? 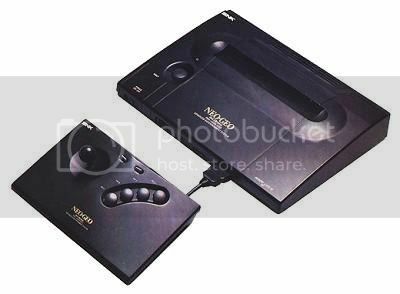 Over ten years have passed since Neo-Geo went out of production, and producer SNK Playmore has just announced this month that it will no longer offer maintenance and repair support to existing Neo-Geo consoles. This is somewhat like finding out that Nissan just now decided to stop producing transmissions for the 1979 Datsun 280ZX. Ten years of support, for a machine about five generations behind the state-of-the-art. Now that’s a company that stands behind its product. I hope they find years of success selling portable, electronic Hello Kitty games to giggly, Japanese schoolgirls… or whatever it is that they do. Growing up, a kid down the street named Scott was always bragging about his NeoGeo. He also wet his bed at the tender age of 13, so there’s that. When Scott grew up, he bragged to everyone about his Hyundai Elantra.